sheworefringe: I could take your photo if you'd like? I was a very lucky girl this Christmas Time. For the good old 21st I received some great gifts and amongst those were some gadgets. Taking photos is a major hobby of mine whether it be on a disposable camera, a digital one or stealing my sister's fancy cameras. So The Two bought me this lovely white Fujifilm bridge camera. It's insanely pretty!...and because of that, I've kind of just been staring at it. A day of figuring out how to use it to the best of its abilities needs to be done. I'm a woman obsessed. I got an iPhone 4S and never have I been more protective over something in my life. This pretty cover from Accessorize helps me not break the screen when I forget I leave it on my lap. To continue with my obsession of photographing most things around me, I've become an Instagram fanatic. So, follow me! My username is ciaraaaharte. I'd love to have a creep on your photos. 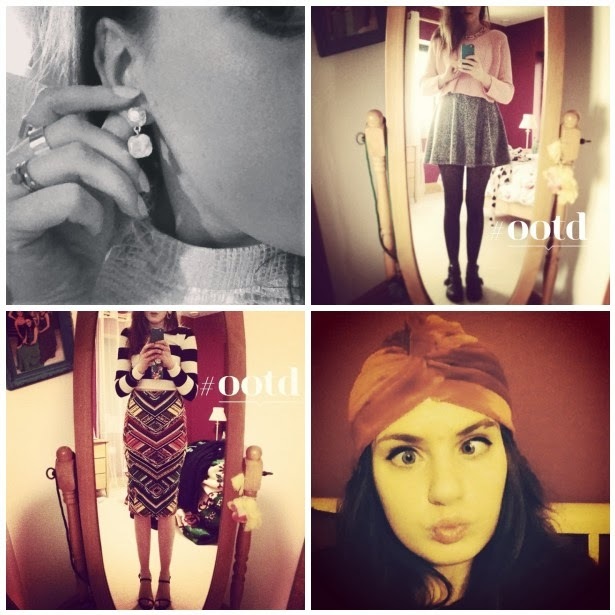 I've been brave and started to post some outfit posts on there. I don't know why but the thought of just taking pictures of myself by myself showing off what I'm wearing freaks me out a little. But I do love looking at other peoples outfit photos so I'm slowly getting used to the idea. If anyone has any cool apps that they enjoy and would recommend, please do inform me.